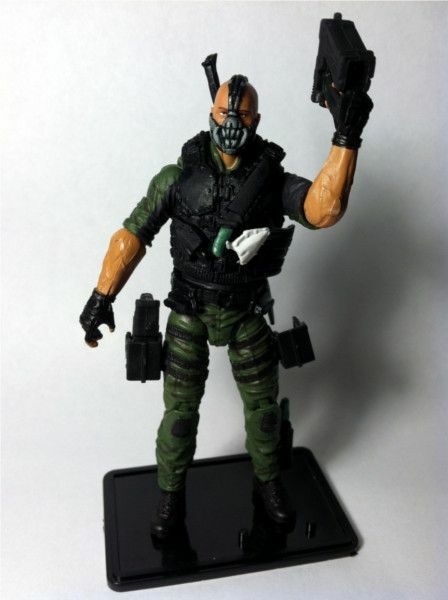 I sculpted this figure's head out of Green Stuff and painted it to suit, after seeing what an abysmal disaster the official 3.75" Bane toys were. The only modification is to the head. 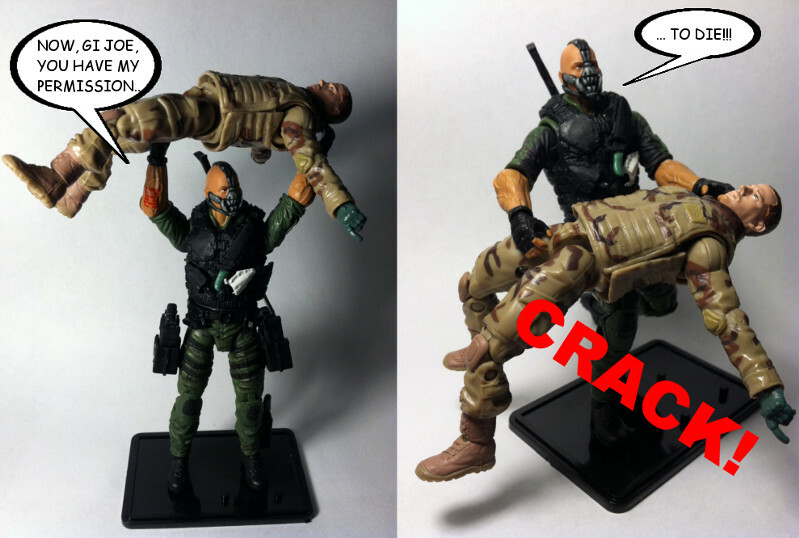 All other parts are stock "Battle Kata Roadblock." I considered using some sleeveless arms, but I was not certain I would be able to find a model with the correct proportions, as the Roadblock figures are significantly larger than other GI Joes.